A drone photo by Islander photographer Jack Elka shows a thriving Anna Maria City Pier in February 2015. 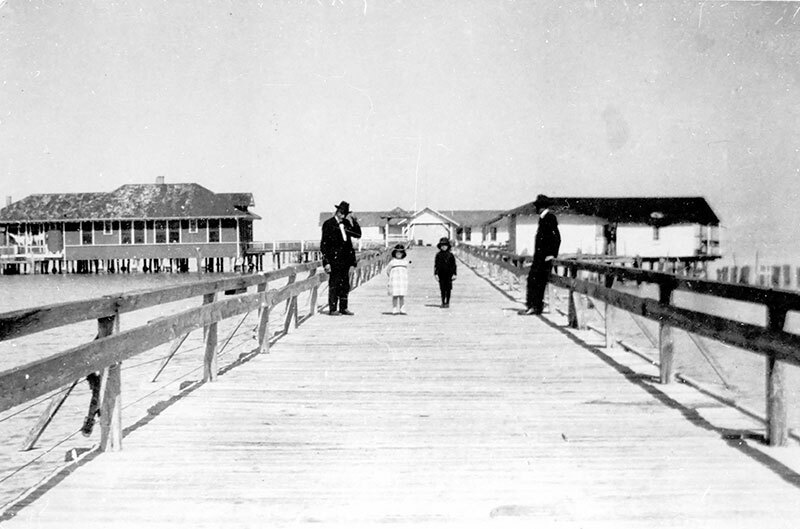 The Anna Maria City Pier — including two residential houses jutting from the north and south sides — circa 1915-25. Islander Photo: Courtesy the Manatee County Library Historical Collection. 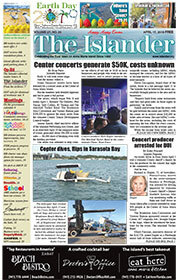 An Islander file photo of the city pier in 2016. 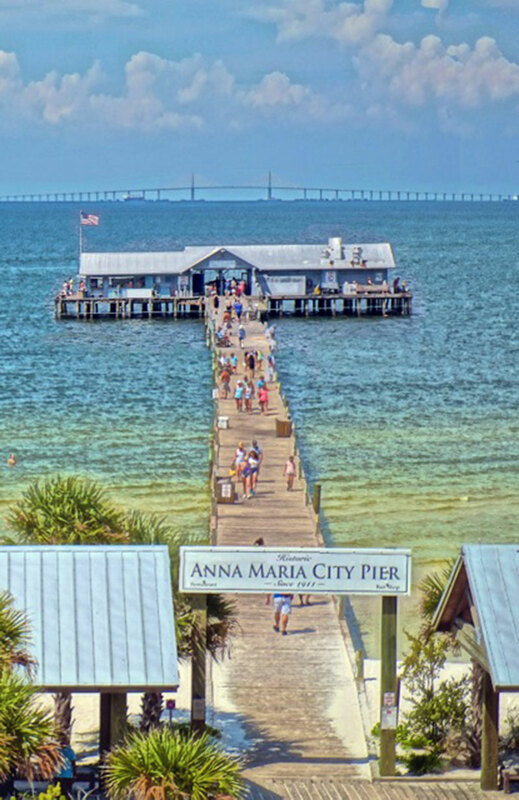 Not everyone is happy with the plans for the new Anna Maria City Pier. 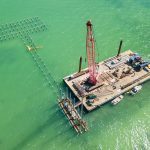 The first pilings were to be driven by Jan. 28, according to Vice Mayor Brian Seymour, but former city commissioner and architect Gene Aubry believes there are issues with the pier as designed by the Sarasota-based Schimberg Group. First, Aubry, who moved to Anna Maria in 1985, is concerned with the lack of railings on the pier walkway. He said railings are important safety measures and could double as a surface for cleaning fish. 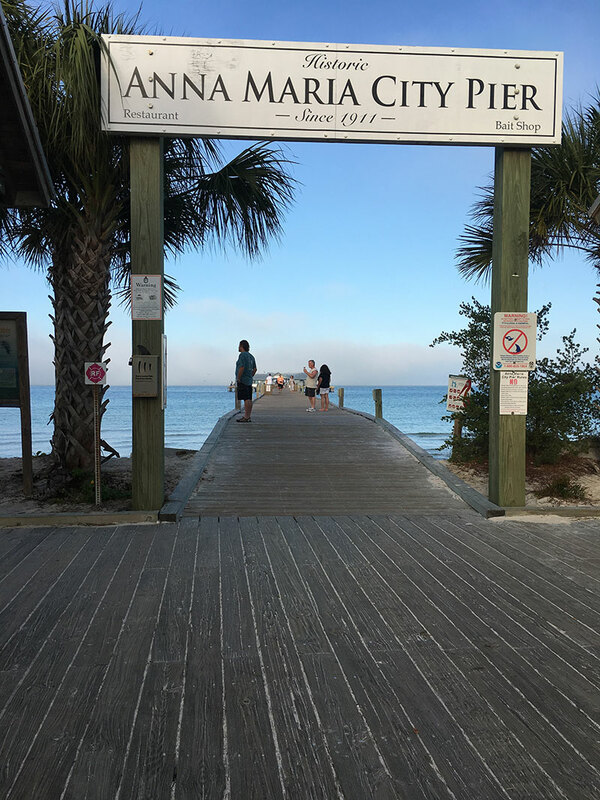 Aubry pointed to the Rod & Reel Pier, 875 N. Shore Drive, Anna Maria, which has no railings but has benches on the walkway for comfort and also to block people from falling into the water. Woodland said the city could discuss adding railings or benches after building the pier. Commissioner Amy Tripp said she wished Aubry’s input had been given during public meetings with the Schimberg Group, held for people to share opinions on the pier design. Commission Chair Brian Seymour — vice mayor during Mayor Dan Murphy’s two-week vacation — said a member of the public raised concerns for railings at one of the meetings, but it was discussed and an overwhelming majority of the public feedback was against railings. 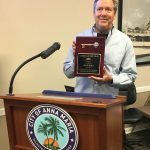 “We even had the engineering firm make sure the curbs that run along the sides were higher than originally proposed to help stop things such as a wheelchair from going off the sides of the pier,” Seymour said in an interview Jan. 25. 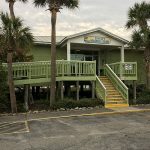 Tripp, who had visited the island since she was 19 years old before moving to Anna Maria, said she couldn’t recollect any issues when the pier had no railings. 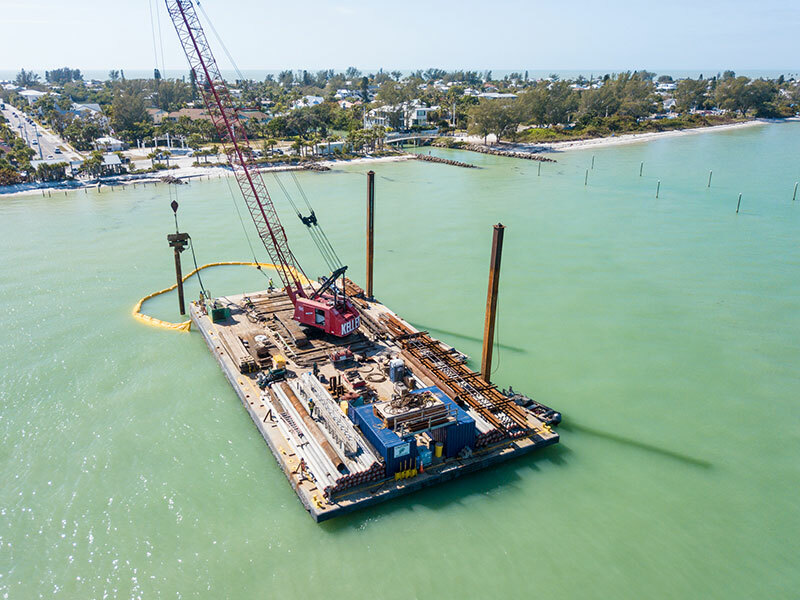 Commissioner Carol Carter said it is the commission’s intention to build the pier as close as possible to the structure damaged by Hurricane Irma in September 2017, but to use longer-lasting materials — such as concrete pilings instead of wood. Aubry said he also doesn’t agree with using concrete instead of wood for the pilings. He said wood could be used for the pier like it was for the pier demolished in 2018. Woodland said he spoke with three different marine construction businesses about wood pilings, all of which told him there wasn’t a big difference between wood and concrete because wood could be wrapped in vinyl to prevent damage from barnacles. Tripp said the engineer on the project, Ayres Associates, maintained concrete was superior to wood. Commissioner Doug Copeland declined to comment on Aubry’s issues with the pier design. 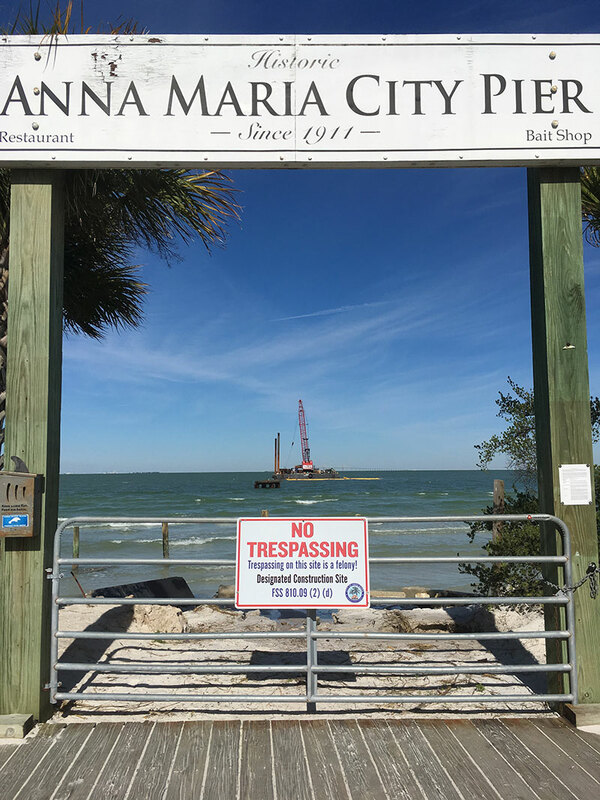 March 26, 2019 The Anna Maria City Pier takes shape in Tampa Bay.